If the oxide film is required to be colorless and transparent after oxidation, the aluminum alloys of the 5 and 6 series are preferable, and can also be colored after oxidation. If it is only required to be anodized to form a dense anodized film, most of the aluminum alloy can be oxidized if it is not required for color. Before selecting the oxidation process, the aluminum or aluminum alloy material should be known, because the quality of the material and the difference in the composition of the material will directly affect the quality of the anodized aluminum product. For example, if there are defects such as bubbles, scratches, peeling, and roughness on the surface of the aluminum, all the rickets will still be revealed after anodizing. The alloy composition also has a direct effect on the surface appearance after anodization. 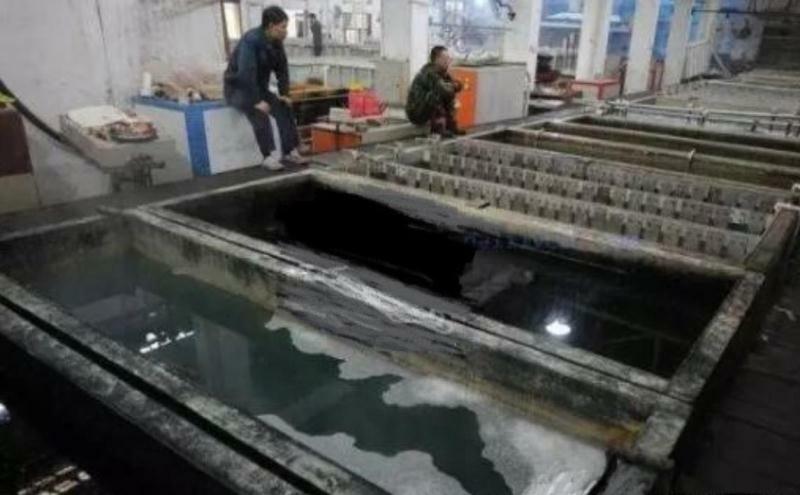 The influence of impurities such as copper, silicon and iron on the surface appearance of the oxide film in the aluminum alloy is as follows: copper will make the oxide film reddish, destroy the electrolyte quality and increase the oxidation defect; silicon will make the oxide film gray, especially when the content When it exceeds 4.5%, the effect is more obvious; because of its characteristics, iron will exist as black spots after anodization. In addition, the influence of other impurity components in the alloy on the appearance of the oxide film: 1-2% manganese aluminum alloy, which is brownish blue after oxidation, and the surface color after oxidation increases from brownish blue with the increase of manganese content in the aluminum material. To dark brown conversion. The aluminum alloy containing 0.6-1.5% of silicon is gray after oxidation, and it is white-gray when it contains 3-6% of silicon. Zinc-containing is an opalescent color, chrome is a golden to gray uneven tone, and nickel is yellowish. In general, only aluminum containing gold and containing more than 5% of titanium contains gold, which is oxidized to give a colorless, transparent, bright, smooth appearance. It should be noted that some aluminum profiles have different colors. These colors are not oxidized, but the aluminum is anodized, dyed or electrolytically colored. Basic coloring is available, but electrolytic coloring is less, you can do it, black, bronze, champagne, golden yellow, imitation stainless steel. The most common harmful impurity in aluminum is iron. In the production process of aluminum profiles in the construction industry, when the iron content is more than 0.25%, the normal color tone is not obtained. As the iron content increases, the gloss decreases. Green, light gray and gray is hard to see. When the silicon content in gold is low, the influence of iron is more obvious. When the silicon is high, the harmful effects of iron can be alleviated to a certain extent. At this time, iron and silicon form AlFeSi intermetallic compound, and also consume part. Excess silicon. The main reason for the influence of iron on coloring is that iron and aluminum form a pointed or rod-like structure, ranging from several micrometers to several tens of micrometers. The electrode potential is different from that of aluminum, so it affects the uniformity and continuity of oxidation coloration, and also makes the oxide film luster. And the transparency is reduced, affecting the coloring effect. A small amount of copper is advantageous for the mechanical properties and surface brightness of the aluminum profile without reducing the corrosion resistance. However, when the copper content is high, the oxide film is black and can be seen by the naked eye. A small amount of manganese will eliminate the harmful effects of AlFeSi structure to a certain extent and reduce the generation of extruded lines. However, when the content of manganese is high, the oxide film is yellowish, and as the manganese content increases, it gradually develops toward brownish yellow, and the coloring effect is even worse. When the zinc content is high, the difficulty of aluminum extrusion is increased, the crystal grains of the profile are coarse, the loss of the mold is large, the oxide film is cloudy, and the zinc ions in the alkali etching solution are accumulated, and the zinc is inverted on the profile to produce a shiny Pear-like spots. When the titanium content is more than 0.1%, the hue and chromatic aberration of the coloring of the aluminum profile are greatly affected, which is caused by the unevenness of titanium. Therefore, from the surface quality of the aluminum profile, the iron content should be controlled below 0.25%, and the other impurities should be less than 0.1%.